The Jacobite rising of 1745 was one of the last in a series of rebellions aimed at returning the descendants of the House of Stuart to the throne. 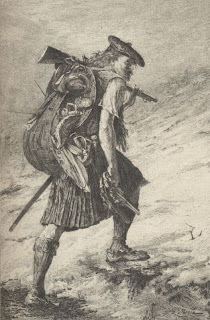 Although for a while Charles Edward Stuart with the aid of various Highland armies and a few others including English and French soldiers won various victories they were eventually defeated for good at the Battle of Culloden held near Inverness. 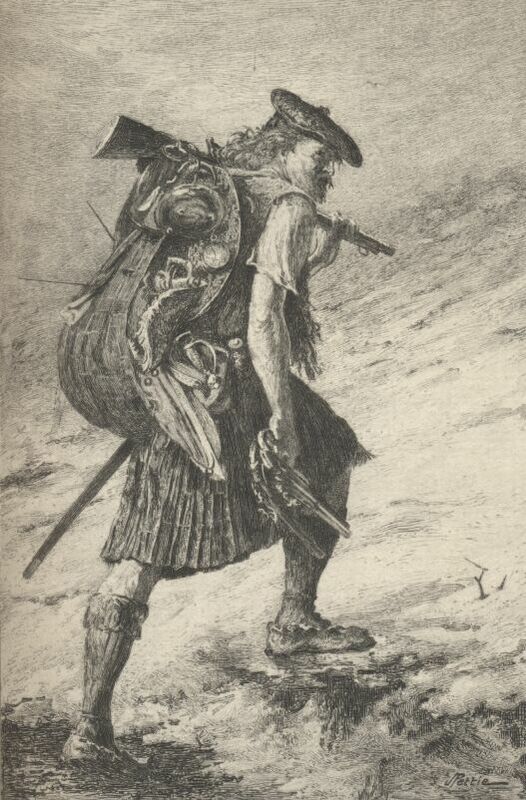 This battle proved decisive with around 1,500 to 2,000 Jacobites killed or wounded and eventually led to the weakening of Gaelic culture and the attack on the Scottish clan system. This, then, is the stage upon which Sir Walter Scott set the first historical novel. The main protagonist of the novel, Edward Waverley, was presumptive heir to the estate of his elderly uncle Sir Everard. The tale follows Edward as he joins the regiment of dragoons and finds himself embroiled in the Jacobite rising of 1745. At first he supports the Hanoverian army but, after falling in love with Flora Mac-Ivor, a Highlands woman dedicated to the Jacobite cause, transfers his allegiance to Prince Charles. ‘warm in his feelings, wild and romantic in his ideas and in his taste of reading, with a strong disposition towards poetry’ (Scott, p. 56). With just a little knowledge of Walter Scott, one gets the feeling that in Waverley, Scott is basing the persona on his own predispositions. Indeed, we view the Highlands through Edward’s eyes, and, at first, as a visitor and via a lens of youthful romance and daydreams. Scott introduces us to his knowledge and learning of this period in Scottish history through Edward’s character. We gain a clear picture of both Highlands and old Lowland cultures of Scotland as well as the political debates and fortunes inherent in all involved parties. Through Edward’s changing allegiances, Scott is able to critique the conflict between Jacobite and Hanoverian from both sides. So this is where our history of the historical novel begins with a tale of the Jacobite risings of the eighteenth century. Or does it? It is both interesting and telling that Richard Maxwell’s The Historical Novel in Europe, 1650-1950 published in 2009 takes as its title and content the chronological range of historical novels back to the seventeenth century. Maxwell categorically states his belief that ‘there is no necessity to follow Georg Lukács in this preference’ (Maxwell, p. 2). ‘Preference’ is a revealing word to use here; Maxwell believes that literary scholarship in the twentieth century has been somewhat blinded by Lukács preferences and his desire not to look too far behind Walter Scott. It would also seem that the breaking apart of literary scholarship in terms of periodisation (as indeed has often been the case in History also) has made it difficult for scholars to note the restrictions in their own research. Of course, I’m far from claiming to be an expert in literary theory (or of its own history) but from the arguments I have read this realisation seems to be a relatively new and profitable one. If then Sir Walter Scott’s Waverley is not the origin of the historical fiction “genre” as has often been claimed then where should a history of historical fiction begin? I’ll be investigating that topic next week so please do keep an eye out. Jerome de Groot, The Historical Novel (Routledge: Oxon, 2010). Richard Maxwell, The historical Novel in Europe, 1650-1950 (Cambridge University Press: Cambridge, 2009). Claire Lamont (ed. ), Sir Walter Scott Waverley; or, ‘Tis Sixty Years Since (Oxford University Press: Oxford, New York, 1986). For information about the virtual conference please click the banner below.